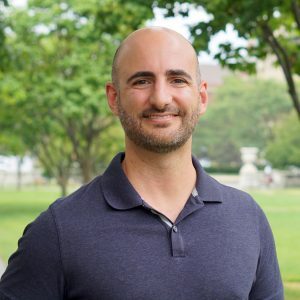 Taj Azarian, MPH, PhD, was a postdoctoral research fellow at the Harvard T.H. Chan School of Public Health, Center for Communicable Disease Dynamics, working with Drs. Bill Hanage and Marc Lipsitch. His overarching research focused on understand the epidemiology of bacterial pathogens through the application of whole-genome sequencing, phylogenetics, population genetics, with specific interest in the growing issue of antibiotic-resistance. While at CCDD Dr. Azarian’s also studied the changes in bacterial population dynamics of pneumococcus after vaccine introduction, specifically focusing on the underlying human and pathogen factors that drive these changes. Prior to joining CCDD, he completed a PhD in Epidemiology at the University of Florida where he studied the emergence of Vibrio cholerae in Haiti, measured the association between community antibiotic use and antibiotic resistance, and investigated the transmission dynamics of Methicillin-resistant Staphylococcus aureus in Neonatal Intensive Care Units.